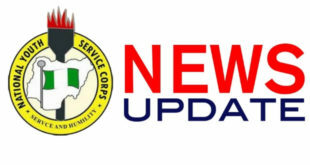 The National Youth Service Corps management extended the NYSC 2018 batch C Stream II Online registration to 9th November a while ago. The date the registration will end is tomorrow. If you are unable to make it or solve all issues by tomorrow, you will have to wait till next batch. So my dear gallant PCM if you are still facing a challenge or you are yet to register or you have issues with anything, we are capable and willing to help out. Use the comment box below to ask us anything and give details about what you are facing and we will be glad to offer a way out. Please SHARE and let’s help one another. Keep them coming below. My dashboard display “you are not in this stream ,u will be notify when to print ur call-up letter…. Pls I have a problem when I was about to register I registered an email and got a link so I went through d link and input my detail’s I and clicked look up senate list I saw my details intact but after registration I saw that my course change from education economics to education government I have applied for change of course since Thursday last week and I have reapplied more than five times but it has not changed and its even on my green card what should I do my school said my details where properly uploaded what should I do? Martins, so sorry about what you have passed through. After registration, there is always a chance to correct it on the dashboard and if there is no provision for that after registration, the ICT center at camp is always fixing issues like that. You don’t have to worry yourself. You will fix it at Camp. If you have any other things, just feel free to ask. My case is, during my registration instead of second class lower its was third class that appeared on the call up number print out. I went to my school and complained they asked me to correct I which i have done but till now its still showing Third class by my statement of result is Second class lower. What shoulf I do please? Lola I made payment for exemption letter since 31st October and my account has been debited but I haven’t received a confirmation yet it keeps saying click to make payment. This is my complain Hello sir I need help,concerning my NYSC registration I did changing of date of birth since on 30th October I was told that date of birth Approval status Application has been treated however i should login to my dashboard to confirmed my new mobilization status and up till now it hasn’t effect on my NYSC account so what can I do please thank. Application details/reference are here below. Examination number =4271810265 Ibrahim Mohammed sani. Lalo this is my complain Hello sir I need help,concerning my NYSC registration I did changing of date of birth since on 30th October I was told that date of birth Approval status Application has been treated however i should login to my dashboard to confirmed my new mobilization status and up till now it hasn’t effect on my NYSC account so what can I do please thank. You should visit any close NYSC secretariat to you. Just explain to them and they will tell you what to do. Greetings please when will mobilization registration portal Will open? Morning Richard…. For which Batch?